With one of my most recent recipes, the pizza muffins, I kept thinking as to what to make using the muffin tins as the pizza muffins were such a huge hit. To me the muffin tin is a bit like the waffle iron. As soon as you start tinkering and making great things with the waffle iron, then it gets you thinking of other creative ideas, much like the muffin tin. So with a recent Sunday meal, and one of my favorite meals of all time (chicken, mashed potatoes, and corn), I decided to come up with a twist of the mashed potatoes, and use the muffin tin to make loaded mashed potato muffins. Talk about crazy good, this is it! First let me start by saying that I love mashed potatoes, but really love loaded mashed potatoes. Maybe it’s the texture of the bacon, or heck maybe it is just the bacon, but the combination of everything really made this meal shine. Start by adding your potatoes to a pot of cold water. Bring to a simmer and cook until fork tender, about 25 minutes or so. During this time, cook your bacon, and slice your green onions. When the potatoes are tender, strain them and return them back to the heat to evaporate any remaining water. Once evaporated, season with salt and pepper, and mash them however you desire. I use a ricer on mine as I like the nice, and smooth texture. Add the potatoes to a mixing bowl, and add in the bacon, butter, and green onions. Give this a good mix, then taste and adjust any salt or pepper to your liking. Preheat your oven to 375 degrees. During this time, spray the inside of the muffin tins with the cooking spray. 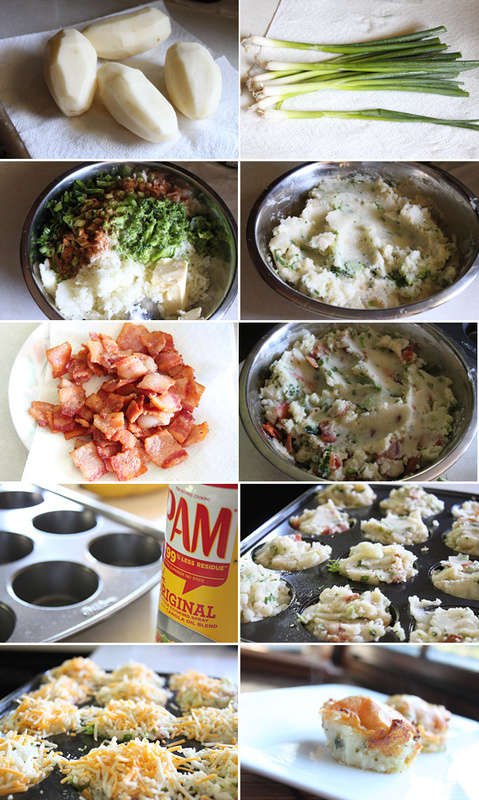 Spoon the loaded mashed potatoes into each muffin tin, about 90% to the top. Sprinkle with the shredded cheese, then place into the oven for about 20 minutes, allowing the cheese to melt and somewhat crisp up. Remove from the oven, and serve. To remove the muffins, I used an offset spatula, but you can use a butter knife to work your way around each muffin tin, and gently lift out. If some get stuck, don’t worry as it’s going down with the rest of your meal. These things were awesome. 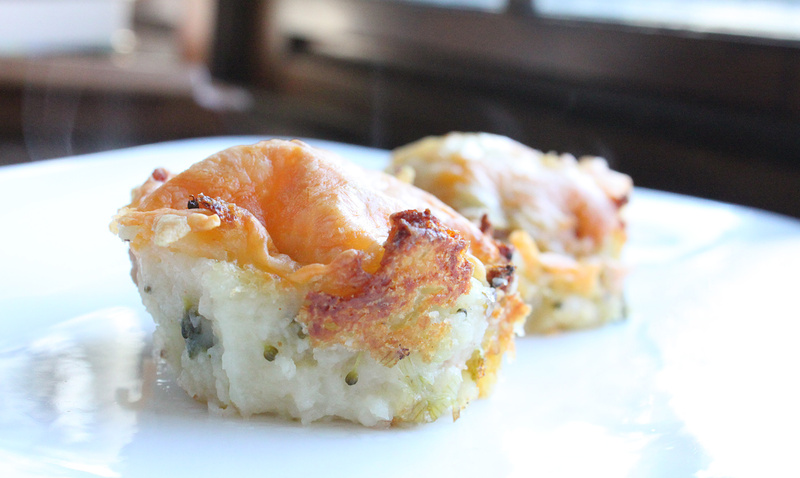 Everything I loved about a loaded baked potato but in muffin form. What’s not to love about that! The muffin tin pulled through once again, and that made this cook a very happy person. Hope you enjoy!